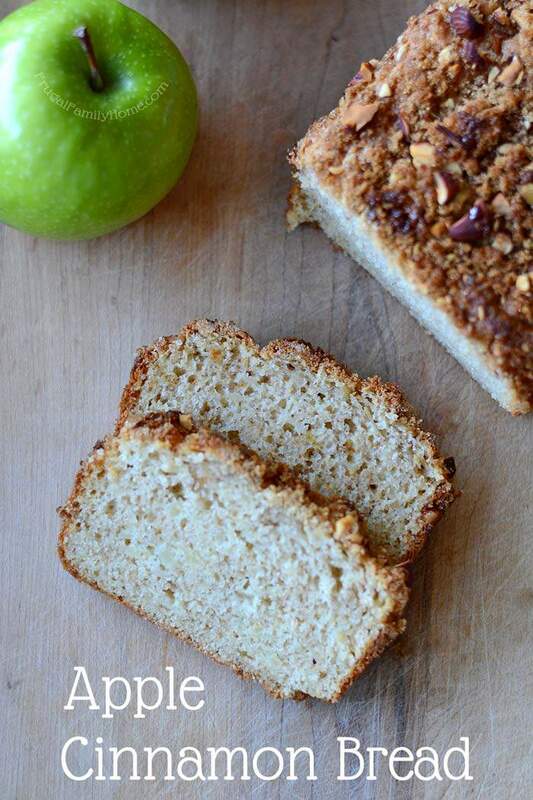 I know this time of year the apples are so crisp, fresh, and delicious, I love to make some of our favorite apple recipes with those yummy apples. 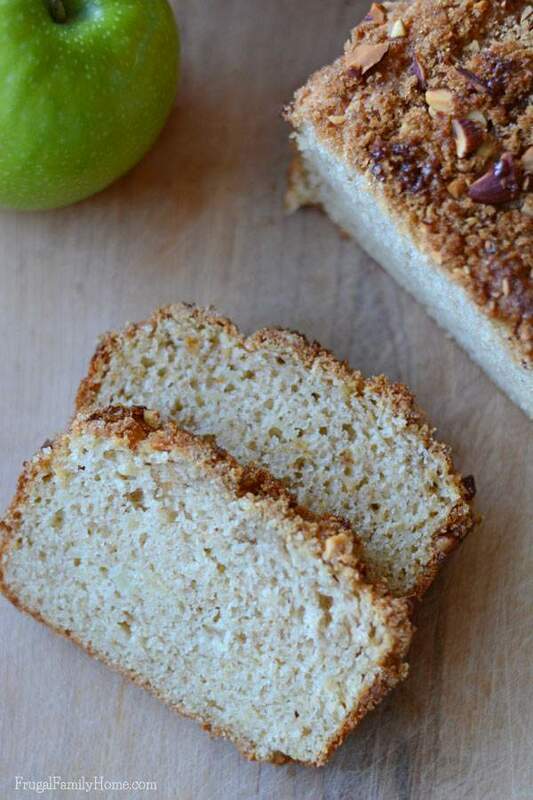 One of those is this apple cinnamon bread recipe. It smells so delicious while it’s baking and turns out so moist. Plus since it’s a quick bread, I can have it stirred and ready to bake in no time. 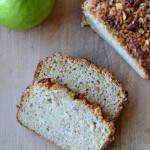 I like to use a good baking apple in this bread when I have them something like a granny smith or even a red delicious. But really pretty much any apple will work. I’ve even used honey crisp apples when I’ve found them on sale at my favorite discount grocery store. I make a nut topping similar to the topping I make for my mini apple muffins. Those are so good too, we eat them often for a yummy breakfast or snack. 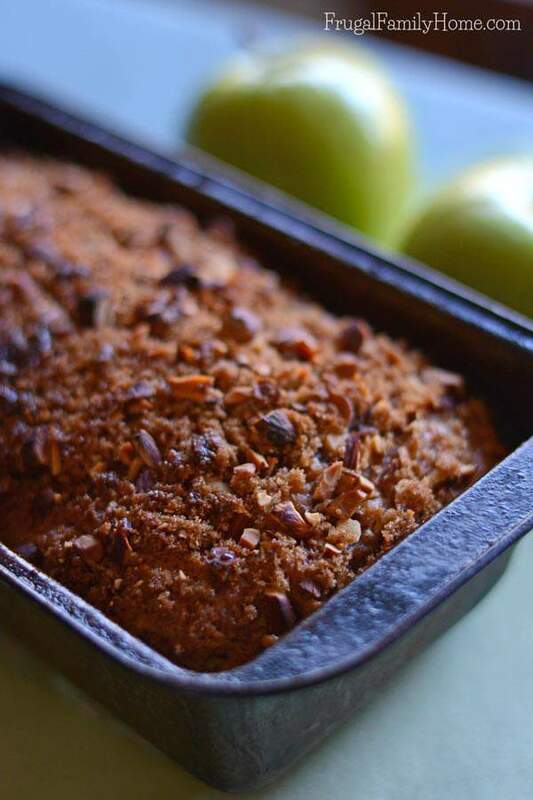 I like the nut topping on the apple cinnamon bread because it give it a nice crunch on the top and the toasted almonds taste so good. Not to mention that little burst of cinnamon and brown sugar makes it so very tasty. Inside the bread, I grate my apples before adding them. My husband doesn’t really like to bite into pieces of wet baked apple in the bread. Grating the apples before adding them to the recipe makes the apple flavor throughout the bread and no little soggy mushy bits of apple for him to run into. 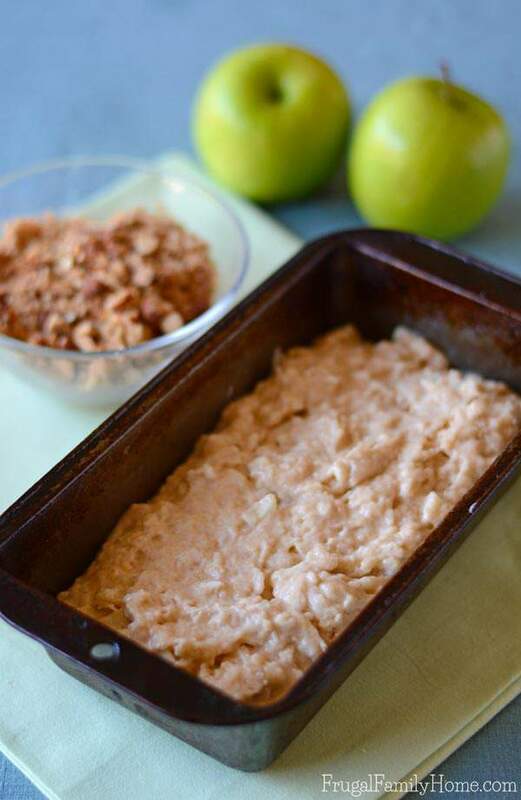 Since the apple cinnamon bread recipe is a quick bread I mix it up in one bowl in just a few minutes. I like to add all the dry ingredients into the bowl and use a whisk to combine them well. I’ll shred the apple and stir it into the dry ingredients. It coats the apple and helps it to incorporate into the recipe better. Then I just add in the wet ingredients and stir until all the flour is moistened. But don’t stir it too much. You don’t want the bread to become tough. I like to grease my loaf pan generously. I’ve had too many times when I haven’t greased the pan enough and part of the bottom of the bread sticks. Be sure to grease the loaf pan well so it won’t stick. Then top with the yummy nut crumble. I like to make mine with almonds and brown sugar. But any nut would do and even regular sugar would work. I’m just partial to brown sugar for this recipe. Mix all the dry ingredients for the bread in a bowl. Whisk to mix well. Add the grated apple to the dry ingredients and mix with a spoon. Add the wet ingredients and mix until the flour is all moistened. But be careful not to over mix or it will make the bread tough. Bake at 375 degrees for 45 to 55 minutes. Or until golden brown and a toothpick comes out clean when inserting in the middle of the bread. Once done baking, removed the bread from the oven and let cool in the pan for 5 minutes. After the 5 minutes, remove from pan and let cool on a wire rack. 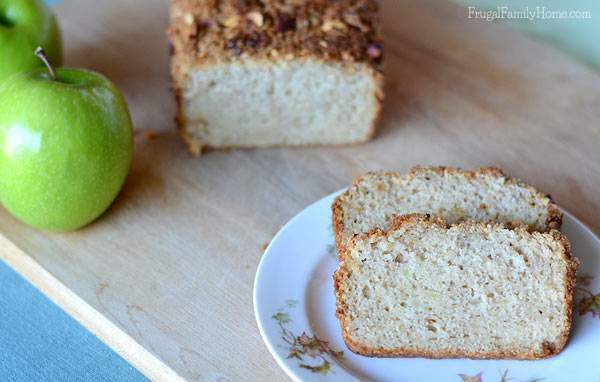 This apple cinnamon bread is delicious for a snack or for breakfast with a little butter on it. It’s a perfect fall recipe. What your favorite recipe to make in the fall? 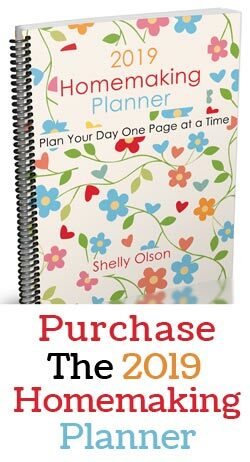 I would love to have you share it in the comments below. Do you know someone who would love to try this recipe? I would love to have you share it with them. Scroll down to use the social sharing buttons below for easy sharing with your friends. Thanks so much! 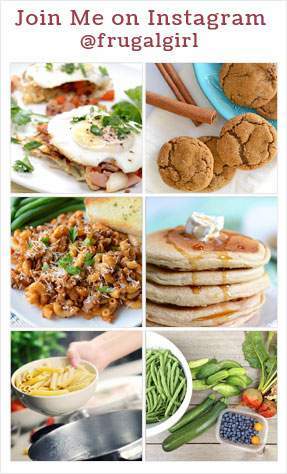 Find more yummy apple recipes by clicking here.